The funding has been allotted by NASA Nebraska Space Grant, one of the 52 space grant consortiums in the U.S.
Copper 3D, the Chilean/USA based 3D printing industry leader, has made it to the headlines for receiving a new grant from NASA. Reportedly, the Copper 3D has been granted the award for testing antibacterial 3D printing material properties, for medical devices used on the International Space Station. Recent reports revealed that the funding has been allotted by NASA Nebraska Space Grant, which is one of the 52 space grant consortiums in the USA. The group is currently highlighting its innovative faculty research projects in 2019, one of which is its collaboration with Copper 3D. This work is focused towards validating new antimicrobial 3D printing materials to develop medical devices and help reduce microbial risks during long-duration spaceflight missions. According to Daniel Martinez, CMO & Director of Innovation at Copper 3D, the fundamental idea of the company is to introduce the concept of Active Materials to the 3D printing industry. 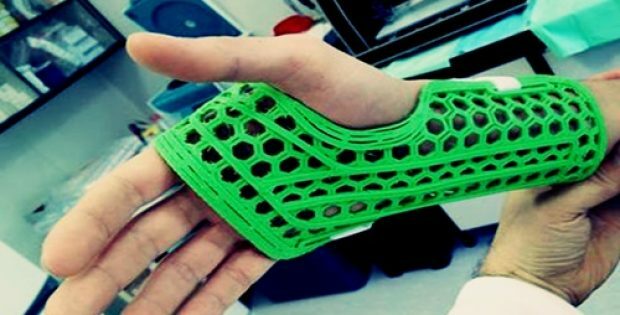 It implies that active materials play important roles and add value to the final 3D-printed object, establishing that these objects are totally antimicrobial. He added that this novel technology, which is founded on patented additive composed of copper nanostructures as well as other controller elements, is likely to have a positive effect on NASA’s long-term space missions facing new challenges. Sources close to the development stated that the latest grant will address the health issues developed by astronauts because of extreme atmospheric conditions during long-term space missions, like the Immune System Dysregulation. A detailed report on health & safety concerns for astronauts on long-term space missions, known as the HUMEX study, was published by the ESA (European Space Agency) in 2000. The 3D printed medical devices are meant serve as preventive countermeasure in the mitigation of microbial risks and there NASA aims to perform a post-extrusion assessment of the antimicrobial properties of 3D-printed medical devices, including a finger orthosis, a basic surgical kit and a flexible wound-care dressing.